U.S. filings for unemployment benefits fell last week to the lowest level in almost five decades, indicating the job market remains tight, Labor Department figures showed March 1. • Jobless claims decreased by 10,000 to 210,000, lowest since Dec. 1969 (estimated 225,000). • Continuing claims rose by 57,000 to 1.93 million in week ended Feb. 17 (data reported with one-week lag). • Four-week average of initial claims, a less-volatile measure than the weekly figure, fell to 220,500, also the lowest since 1969, from the prior week’s 225,500. The latest decline in weekly claims shows a tight labor market is increasingly pushing employers to hold on to existing staff amid a persistent shortage of qualified workers. Applications for jobless benefits are well below the 300,000 tally that’s typically considered consistent with a healthy labor market. Overall, the employment picture remains solid, with payrolls continuing to increase and the unemployment rate at the lowest since late 2000. 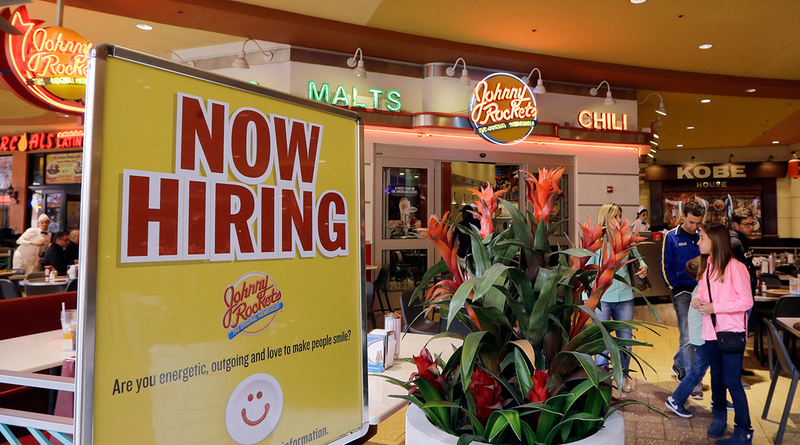 Job growth will help sustain consumer spending, the biggest part of the economy.